St Mary’s Priory Church, Tutbury, is a lively Christian church family of all ages, seeking to proclaim Jesus as Lord, to serve God and share His love with our neighbours. Our welcome is warm and we seek to combine the best of all ages for old and young. We encourage newcomers to become involved at whatever level they feel comfortable with. At 10.00 a.m. on the First, Second and Third Sunday of the month there is a Parish Holy Communion Service - Common Worship and on the Fourth Sunday, Book of Common Prayer Choral Eurcharist. When there is a Fifth Sunday, the service varies. The Church has a strong musical tradition and we have two accomplished organists and a choir. The bells, eight in all are rung as regularly as possible, we would welcome more ringers and of course people wishing to join the choir are always welcome. We have a thriving Mothers' Union and "Friends of St. Mary's" Group. Our beautiful Norman church building dates from the eleventh century and is in a village setting, close to Tutbury Castle with views over the Dove Valley to the Peak District. 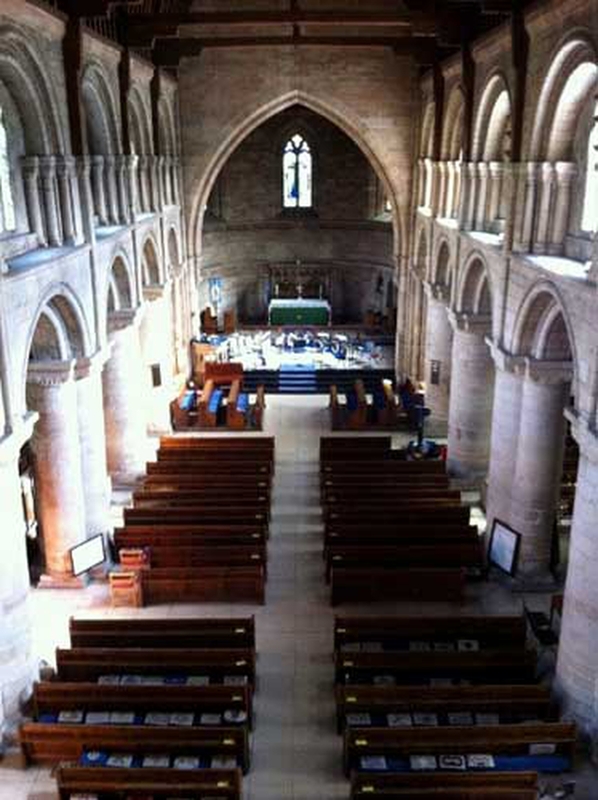 In 2010 the North Aisle was refurbished to provide meeting room, kitchenette, toilet and baby changing facilities - The Priory Suite, which can be used for a variety of purposes. Regretably we are unable to leave the church open but on a Saturday morning from 10.00 a.m. the church is open for "Coffee 'n Cake" and all are welcome to join us. This time gives the opportunity for couples planning a marriage or christening to come along a look at the church and there is usually someone happy to answer any questions. If you would like to know the history of the church, again we would be happy to share this with you. If you would like an Historical Tour, this can also be arranged. We are part of the A.R.T Group of Churches, together with St. Mary's, Rolleston on Dove and Holy Trinity, Anslow. For news and information, please go to www.tutburystmarys.org.uk. We hope to see you soon.